Ah, new love. It's exciting and unpredictable, yet it can also be overwhelming. After all, the most exhilarating of human emotions can be especially intense in the early stages. Sometimes, when you're at a loss for words to express the depth of your feelings, a quote about dating someone new may speak volumes for you. These new dating relationship quotes are the perfect way to express how you feel at the start of your journey together. The best part about getting to know you is anticipating that each day brings new surprises that are all about you! I knew you were special from the moment we met. How I'm looking forward to all of our tomorrows. Love at first sight has nothing on how special love at first talk is. I've cherished all our getting-to-know-you moments we've shared. May they go on and on! Always remember the three R's of new relationships: respect one another, revel in the wonder, and reach out with kindness every chance you get. Have you ever felt your heart race while on a roller coaster, flutter at the idea of your most coveted toy on Christmas Eve, or be soothed when you sit down after a run? I felt all that combined the moment we met. You still thrill me in every wonderful way! Being together and doing nothing can be the best way to spend time that means everything. New love may soar and plummet as it ebbs and flows, but what remains are the things we've discovered about each other. I'd do it all again because it led us to this love we share today. A world of joy can be found in a simple moment shared between kindred spirits who care for each other the way we do. Just the idea of losing you is enough to make me realize how time is irrelevant when it comes to how deeply I hold you in my heart. I'm so glad we found one another. What started out as attraction has blossomed into love. May we grow together now as we discover one another. I savor the journey that we're on. We are the explorers and the creators of our relationship. Let's go some place wonderful from here. It's all up to us, and I'm so glad that I chose you. Knowing what you want in a lover and a partner may take only a moment when you know yourself. I knew you were the one from the moment our eyes met. Just so you know, I'm making the best memories of my life every time I go out with you. It's not how long you've been with someone that matters, but rather the love you share in your heart. Your incredible strength and kindness amazes me every day. Even though I'm not a morning person, waking up next to you always brings a smile to my face. Being with you has been a steady stream of laughter, joy, and incredible experiences. I could not have asked for a better partner, confidant, and best friend. I'm grateful for the struggles we have faced together because we have grown together as a couple. I am grateful to be with someone who has such a loving heart. No one has ever made me laugh as hard as you have, and to me, there's nothing sexier than that. Your grounded, caring nature is just one of the reasons why I love you so much. You inspire me every day to live life to the fullest, and I look forward to many new adventures together. I've never loved anyone like this before, and I feel so lucky to have you in my life. 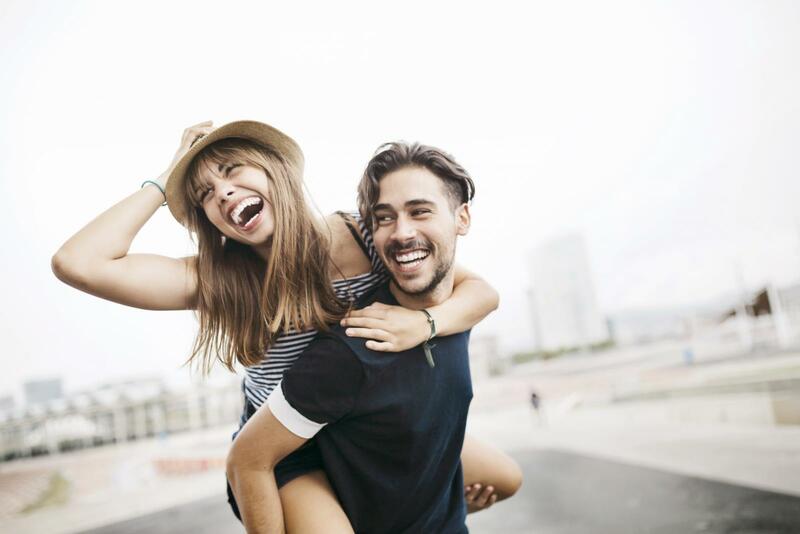 If you are seeking some famous quotes on new relationship love, consider what these historical figures and modern celebrities think about the joy, fear, befuddlement and surprise of new relationships. Kirsten Dunst gracefully moved from brilliant child star to accomplished young leading lady without batting an eye as she grew up in front of our eyes with roles like Lux Lisbon in the brilliant film The Virgin Suicides. She expressed that you can never control who you fall in love with or when you fall. Even if the relationship is new, and it may not be a good time in your life, falling in love happens naturally. Eleanor Roosevelt is known for being the loyal wife of President Franklin D. Roosevelt as well as her many accomplishments and activism. When it comes to new relationships, Eleanor Roosevelt was rather candid. She felt that people hold their hearts back out of fear of rejection from the one they want. Never one to shy away from a controversial statement, eclectic entertainer Mae West felt that individuals should be given a second chance after a break-up...but that the second chance should be with new partners! There was no worrying about being on the rebounds in her theory. As a leader of the Romantic movement and a famous poet, Lord Byron had a lot to say about love. When it comes to budding relationships, Lord Byron expressed his opinion that friendship can, indeed, sometimes turn into romantic love, but he did not think that love could ever be scaled back to mere friendship once the sparks have started. The Emmy-winning actress Shelley Long has enjoyed an illustrious career, and she is perhaps best known as Diane Chambers on Cheers. Diane and Sam remain a symbol of beloved fictional couples of 1980's television. Shelley Long had a quote that was particularly relevant to new relationships. She mused that, as long as you don't give up or quit or run away when the going gets tough, that you can only stand to win within the relationship. Anna Sexton was a Pulitzer Prize-winning poet who achieved both popularity and critical acclaim. When it comes to new relationships, she felt that they could not be denied or concealed. Even if it is small and new, she thought that it was like a cough, something that simply was revealed without choice. Gifts - If things are getting serious at a rapid pace, you may want to use a new relationship quote on a shirt, cup, or key chain so that your love can enjoy a reminder of your feelings time and again. Sentimental Cards - When you're writing greeting cards for your sweetheart, you may opt to weave a quote or two in with your original words. Social Media Pages - You may throw one or two quotes about new relationships on your social media pages. It can be a subtle hint towards the one you love, but it also provides the cushion of simply being an ambiguous post. Romantic Gestures - When you want to charm your new girlfriend or boyfriend, you may opt to speak romantically when you are out on a date. Learning a few natural quote may help you keep your cool when the pressure heats up to wax poetic about your relationship. The choices are really unlimited when it comes to how you can use a quote about new relationships. You may find that these quotes inspire you to create some of your own. Experiment with saying them aloud or writing them down, then find out which ones are the right fit for your voice and feelings. Turn to these quotes when you need some encouragement or inspiration in your new relationship. When you need a convenient piece of prose to convey what's in your heart, return here and read about the complexity of new relationships in all their splendor.